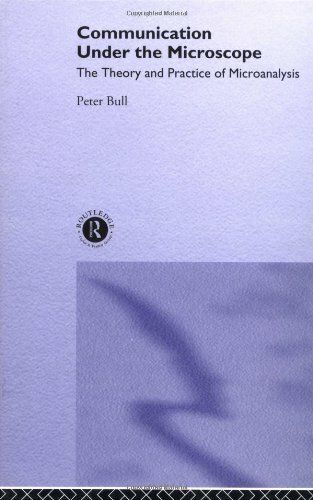 Professor Peter Bull (Universities of York & Salford, UK) read modern history at the University of Oxford, and psychology at the University of Exeter, where he wrote a PhD thesis on the psychological significance of posture. 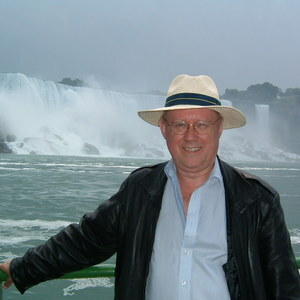 He is a Reader in Psychology at the University of York, and an Honorary Professor at the University of Salford. He has been Visiting Professor in Political Communication, University of Antwerp, Belgium since October 2013, and is a Fellow of the British Psychological Society. Peter Bull's principal interest is the detailed "microanalysis" of interpersonal communication, in particular nonverbal communication and political discourse; he also has interests in the social psychology of health. Recent research has been concerned with the analysis of audience responses to political speeches, equivocation in political interviews, and adversarial discourse in Prime Minister’s Questions. His work is primarily focussed on British politicians, but also includes cross-cultural comparison with Japan and the USA..
Bull, P. (2003). 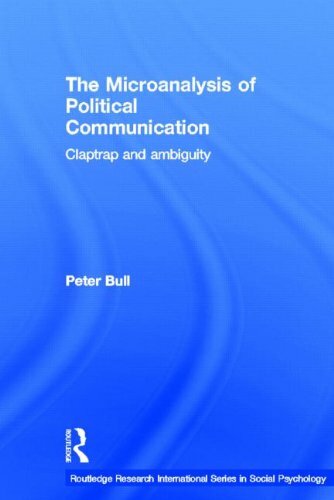 The microanalysis of political communication: Claptrap and ambiguity. London: Psychology Press. Bull, P. (2002). Communication under the microscope: The theory and practice of microanalysis. London: Psychology Press. Bull, P. (1987). Posture and gesture. Oxford: Pergamon Books. Bull, P. (1983). Body movement and interpersonal communication. Chichester, United Kingdom: John Wiley & Sons. Bull, P. (2008). “Slipperiness, evasion and ambiguity”: Equivocation and facework in non-committal political discourse. Journal of Language and Social Psychology, 27, 324-332. Bull, P. (2006). Invited and uninvited applause in political speeches. British Journal of Social Psychology, 45(3), 563-578. Bull, P. (1997). Queen of hearts or queen of the arts of implication? Implicit criticisms and their implications for equivocation theory in the interview between Martin Bashir and Diana, Princess of Wales. Social Psychological Review, 1, 27-36. Bull, P., Elliott, J., Palmer, D., & Walker, L. (1996). Why politicians are three-faced: The face model of political interviews. British Journal of Social Psychology, 35(2), 267-284. Bull, P. & Feldman, O. (2011). Invitations to affiliative audience responses in Japanese political speeches. Journal of Language and Social Psychology 30(2), 158-176. Bull, P., & Fetzer, A. (2010). Face, facework and political discourse. International Review of Social Psychology 23(2/3), 155-185. Bull, P., & Fetzer, A. (2006). Who are we and who are you? The strategic use of forms of address in political interviews. Text and Talk 26(1), 1-35. Bull, P., & Wells, P. (2012). Adversarial discourse in Prime Minister’s Questions. Journal of Language and Social Psychology 31(1), 30-48. Bull, P., & Wells, P. (2002). By invitation only? An analysis of invited and uninvited applause. Journal of Language and Social Psychology, 21, 230-244. Doody, J. P., & Bull, P. (2011). Asperger’s Syndrome and the decoding of boredom, interest and disagreement from body posture. Journal of Nonverbal Behaviour, 35, 87-100. Warren, G., Schertler, E. & Bull, P. (2009). Detecting deception from emotional and unemotional cues. Journal of Nonverbal Behaviour 33(1), 59-69. Wells, P., & Bull, P. (2007). From politics to comedy: A comparative analysis of affiliative audience responses. Journal of Language and Social Psychology 26(4), 321-342. Bull, P. (2011). What makes a successful politician? The social skills of politics. In A. Weinberg (Ed. ), The Psychology of Politicians (pp. 61-75). Cambridge: Cambridge University Press. Bull, P. (2009). Techniques of political interview analysis. In G. Álvarez-Benito, G. Fernández-Díaz, & I. Íñigo-Mora (Eds. ), Discourse and Politics, Chapter 13, 215-228. Newcastle-upon-Tyne: Cambridge Scholars Publishing. Bull, P. (2008). Microanalysis. In W. A. Darity (Ed. ), International Encyclopedia of the Social Sciences (2nd ed. ), Volume 5, 132-133. Detroit: Macmillan Reference USA. Bull, P. (2007). Political language and persuasive communication. In A. Weatherall, B. M. Watson, & C. Gallois (Eds. ), The Social Psychology of Language and Discourse, Chapter 10, pp. 255-275. London: Palgrave Macmillan.